Matt Ebden and John Millman both toughed out three-set victories on Wednesday to move into the second round of the Miami Open. 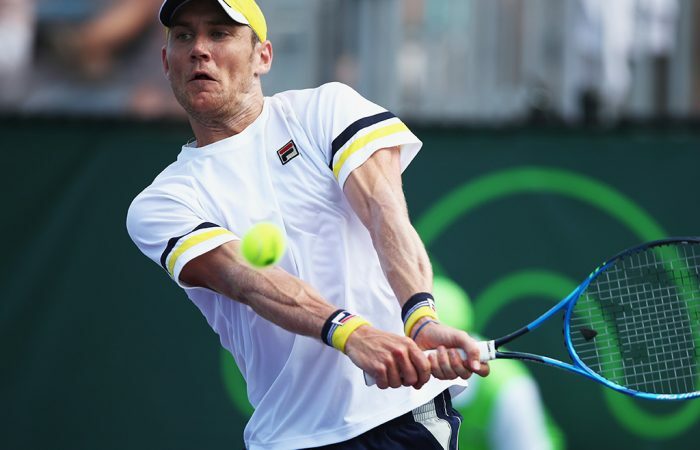 Australian Davis Cup teammates Matt Ebden and John Millman have both progressed to the second round of the ATP Masters 1000 event in Miami. Ebden opened his campaign with an impressive 6-3 6-7(2) 7-5 win over veteran Frenchman Gilles Simon – a former world No.6 – while Millman backed up his qualifying run with a 2-6 6-4 6-4 victory over German Peter Gojowczyk. Millman has now won three matches in a row at Crandon Park. 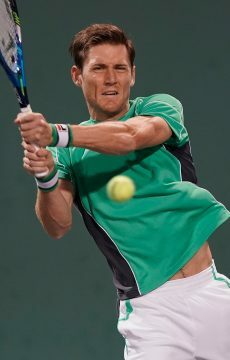 Ebden next plays rising Korean Hyeon Chung, with Millman up against Japanese star Kei Nishikori. 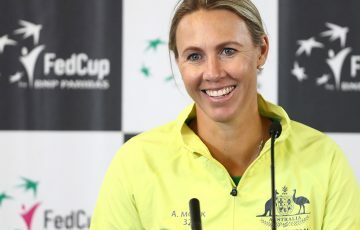 And it’s been a successful start for the Australian contingent in Miami; a day earlier Ajla Tomljanovic progressed to the second round the same day Millman, Alex De Minaur and Thanasi Kokkinakis won through to the main draw via qualifying. Later on Wednesday (local time), Sam Stosur fell to Monica Puig in straight sets under lights at Stadium 1. 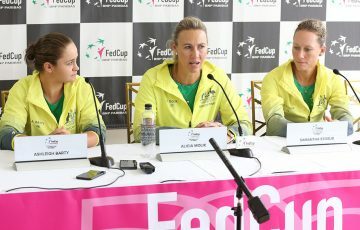 Stosur committed 26 unforced errors in windy conditions, and was broken three times throughout the match to lose 6-3 6-4. 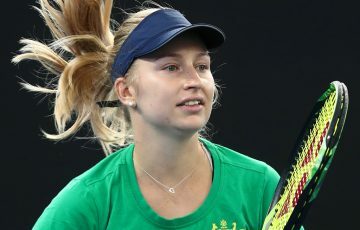 Having won their first four meetings, Stosur has lost the last three to the Puerto Rican, who goes on to face No.2 seed Caroline Wozniacki in the second round.